A big problem in being a basic, straight-ahead rock outfit is the implied dismissiveness in most of how said outfit is described. To be called “classic rock” never means that you employ time-honored means to timeless ends, but that you wish it was still 1977; to be called “throwback” suggests a kind of kitschy, irony-fueled approach rather than one born of appreciation or, more commonly, pure love for the music. If the lean songwriting and minimalist album art are to be the guide, Salt Lake City-based Fictionist are probably not too concerned with the baggage those terms bring, instead pressing ahead with the mostly-winning, extremely listenable dozen songs of Invisible Hand, all channeling the best elements of an ageless brand of rock but never making those elements secondary to the tunes. Case in point: the slide guitar and moderate funk opening of “Ashes” fits a mighty riff worthy of Led Zeppelin over the ages-old “Canon” chord progression, a marvel in itself almost entirely abandoned for the verses’ channeling of Jeff Buckley. This type of kitchen-sink approach normally spells doom for any overreaching rock outfit, but by using those pieces for effect and momentum rather than out of some sense of stylistic obligation, the group avoid much of the overkill and embarrassment so many others cannot. “Tightrope Hill,” conversely, uses a staccato dual guitar-and-keyboard riff over some giddy handclaps to form a bridge between increasingly crowded verses, all underscored by the excellent guitar work of Robbie Connolly and culminating in an outstanding delay-soaked, blues-informed guitar solo. Likewise, the classy rocking of “Lovers Past” uses some tastefully-echoed guitar lines and well-placed piano fills to drive vocalist Stuart Maxfield’s winding, stream-of-consciousness to a rollicking close. 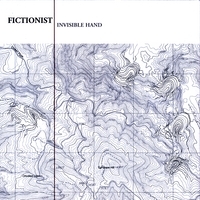 Fittingly, Invisible Hand concludes with the seven minutes of pure space-jam goodness in “Song for B.” The electric piano and guitars swirl around each other over a bass line and laid-back drum arrangement that would make any classic rock purist proud; in a good way, of course. Turning old ideas into new directions and ancient wisdom into modern revelations, Invisible Hand is that rare case where substance and style coexist, and never at each other’s expense.